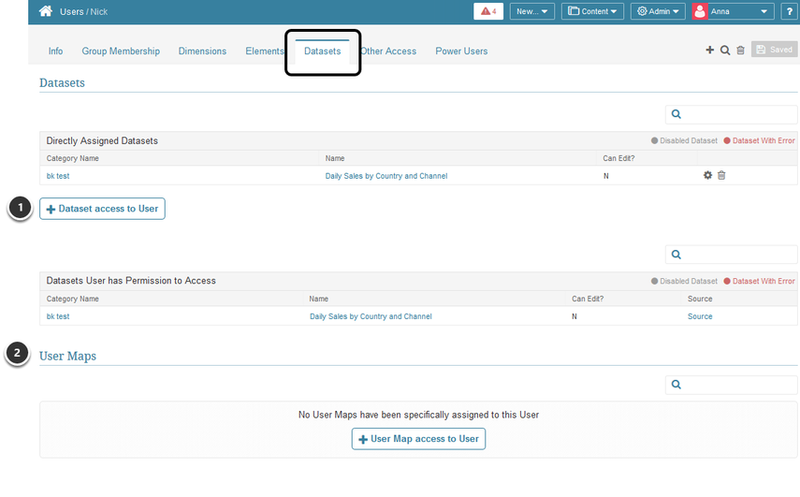 Regular User: Has no authoring capabilities for creating or editing elements. 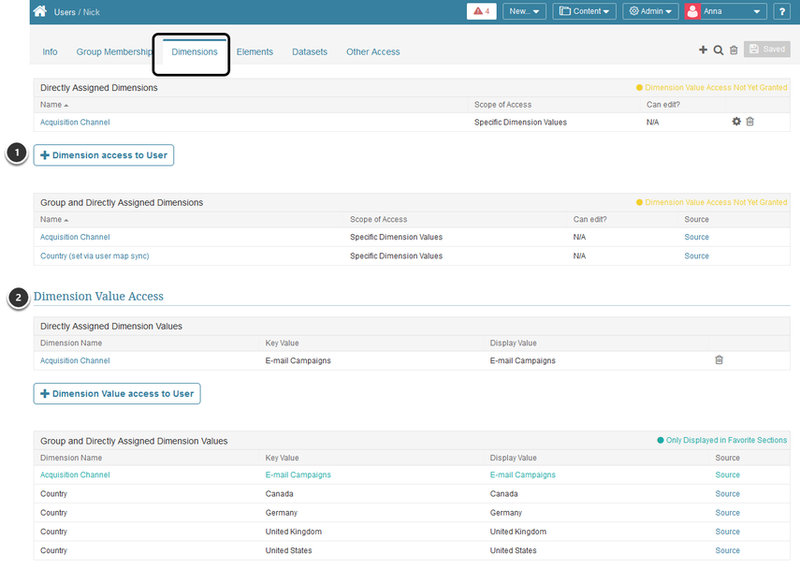 Administrator: Has full access to edit and create content in Metric Insights. Can also manage accounts, grant rights and perform other Administrative tasks that govern system behavior. 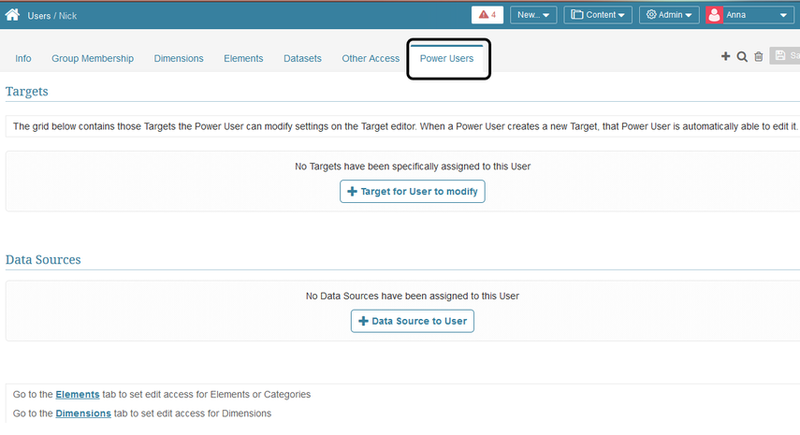 Permissions: Control access to specific Elements and dimension values. Click [+New User] at the bottom of the page. The Add User pop-up opens. Save your settings. The User Editor opens. 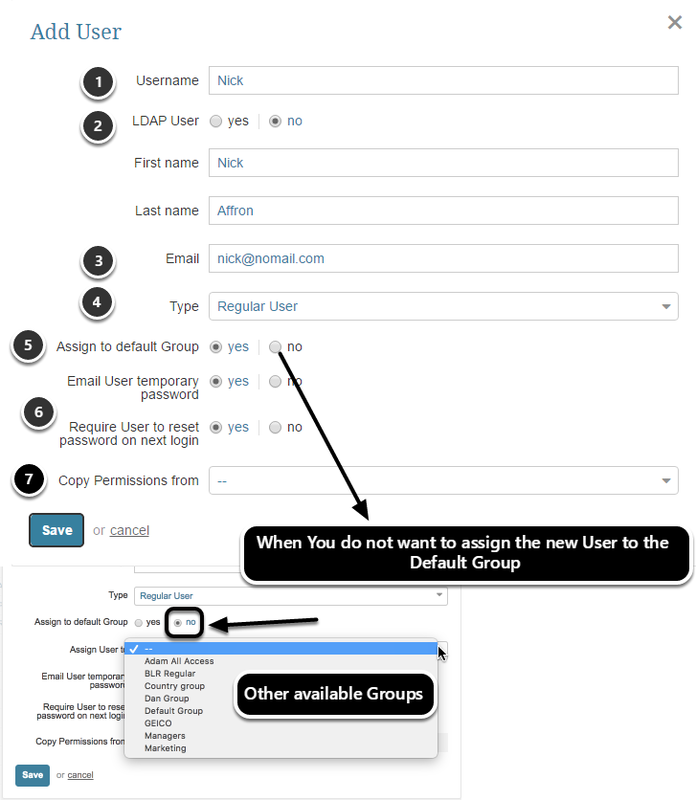 Note that, based on the initial standard settings, this sample User is assigned to the 'Default Group'. 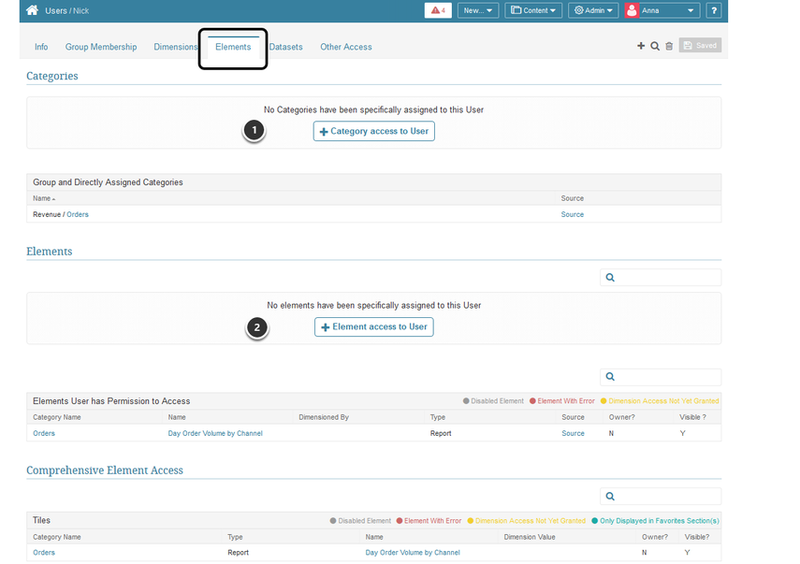 The sections below all follow a similar format and contain buttons to allow Use, View, or Edit Access Permissions for specific objects. 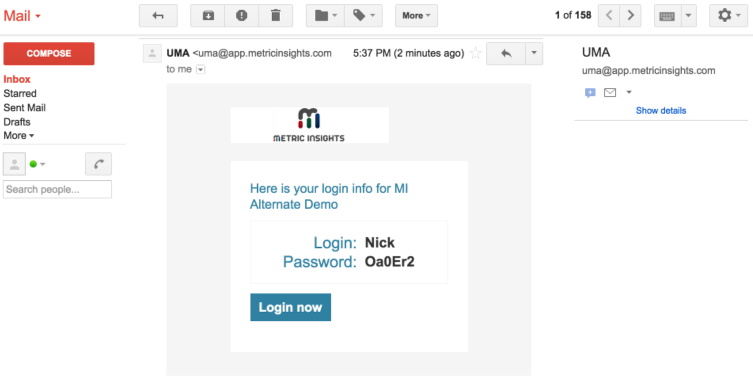 If you have selected to send the user a temporary password, the user will receive an email like the one shown above. 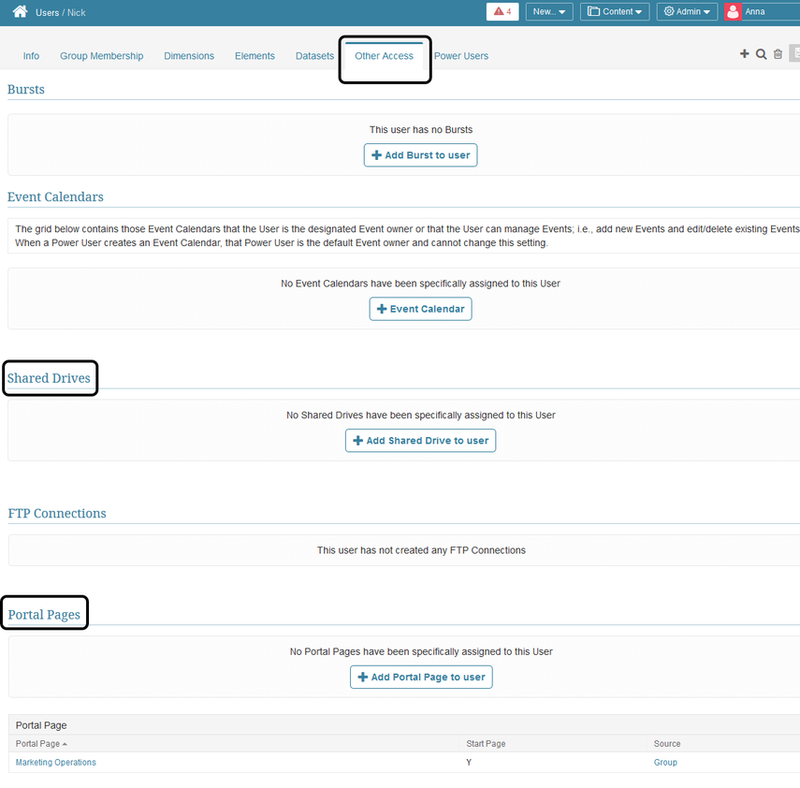 See First Login Options for more information.